The most important part of church design and construction is understanding that the structure is much more than just a building. A center of worship —whether it’s a church, a mosque, a synagogue or a temple— represents the beliefs and identities of entire communities. That’s something we take to heart on every church construction project we take on. And we’ve taken on many. At The Korte Company, we understand communities of faith. We understand the importance of ministry. We understand that a center of worship directly impacts the lives of many families and individuals. We understand that a church’s impact ripples outward, making connections that span the globe. We understand that churches are deeply personal spaces to those who take refuge or comfort within them. While we’ve built plenty of them, our understanding of the needs of church communities runs deeper than any amount of experience can provide. Expression of faith has been at the core of our company’s leadership since it was founded by Ralph Korte in 1958. His philosophy then was simple: Build structures that last, get the best value and treat people fairly. Six decades later, we’ve never wavered from that commitment—especially that last part. We carry that commitment everywhere we go, much like our faith. We’ve built churches and centers of worship for communities of faith of all kinds across the country. 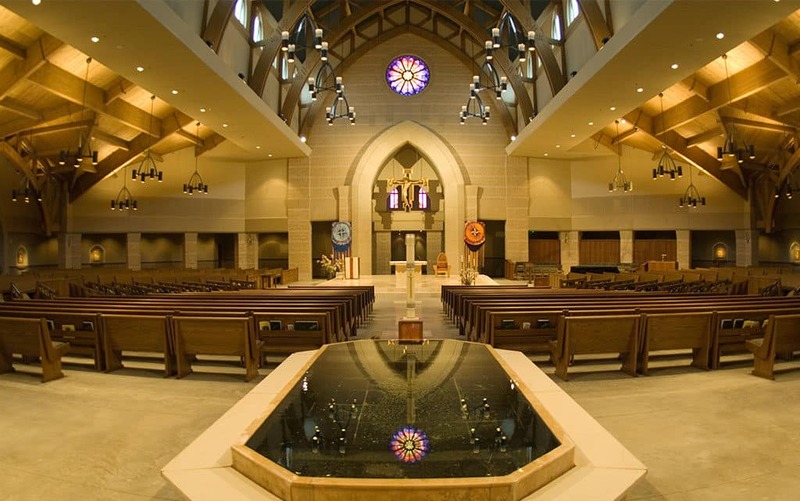 See our full list of church construction projects here. Churches and centers of worship are multi-generational mainstays in their respective communities. It’s not uncommon to see congregations going strong in churches that have stood for centuries. How big is our congregation now? How has the size of our congregation changed over the last few generations? How is our congregation expected to expand or contract over the next several decades? How is our congregation changing? Is it richer? Poorer? More diverse? What services or programs will we continue to offer? What will we add? What might we subtract? How do we expect our church to interact with its surrounding or satellite properties, such as pastoral residences or schools? The health of a congregation is directly tied to a church’s ability to finance new construction. We know that churches value good stewardship of funds, and we know putting funds together isn’t always easy. 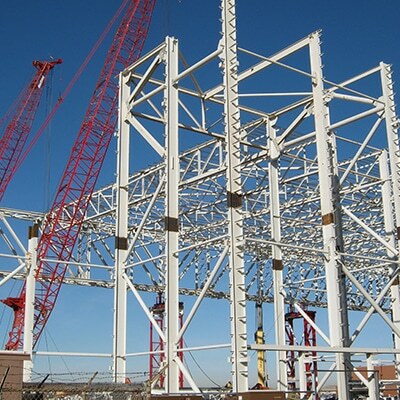 One of the ways we help congregations reduce project costs is assisting them with tax repurposing on major material purchases like HVAC systems and steel and electrical components. 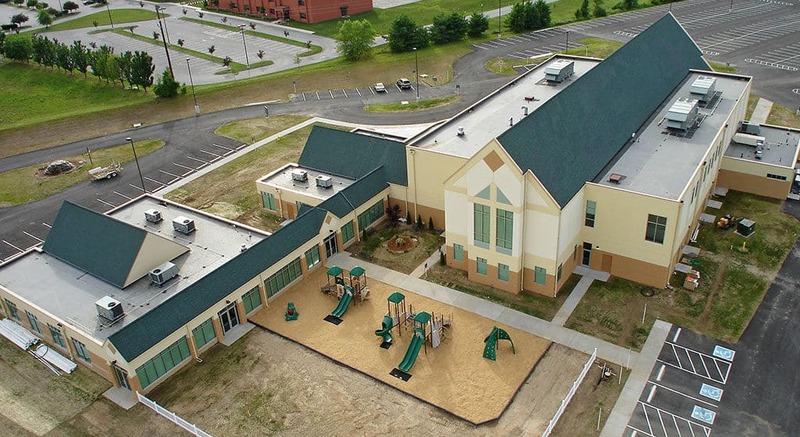 Our vast church construction experience translates to the ability to navigate the various tax exemption laws across the U.S., helping us save congregations 1.5% to 2% on the overall project cost. For more, we recommend reading our guide to financing your construction project. It discusses getting favorable financing on construction loans, reducing risk, funding sources and both traditional and non-traditional avenues of financing. Church construction projects are all about balancing a community’s needs and resources. That makes the Design-Build delivery method perfect for these jobs. Design-Build is all about finding design and construction solutions that enhance value. And we know value and stewardship are vital in any congregation. Our team starts by listening. No one knows a church like its own members, so we join with them to think through their needs, both now and in the future. Then, we help weigh those needs against available resources and craft a plan focusing on maximizing ministry. We believe that inclusion matters. On countless church construction projects, we’ve seen congregants offer in-kind subcontracting services or materials. We always try to incorporate these offerings to the extent it makes sense for the project. That helps reduce costs and gives more people a stake in the game. But we also play the role of mediators in cases where services offered aren’t needed or don’t make sense in terms of achieving ultimate project goals. Design-Build is also flexible. Church activities can be unpredictable. Unforeseen events may mean schedules need to change. Our teams understand that churches must remain focused on the people they serve. We have no problem changing our schedule or working around ongoing events. We’ve mastered the skill of working while facilities remain in operation. Finally, Design-Build makes jobs more seamless and efficient. Church leaders need not juggle multiple points of contact. Single-source responsibility means any questions or concerns can be brought to a single person. When everyone’s on the same page from the start, projects are streamlined and money is saved. We know that congregations take the choice of building partner very seriously. We’ve built enough churches to know that each community is unique, and we’re confident that whatever your goals or concerns are, we can help you build a church worthy of its mission for generations to come. Want to talk more about it? Get in touch with us.